The festival is open to individuals or businesses with interests in spiritual or holistic health, specialties in massage, health and holistic remedies, crystals, arts, music, performing or retail products relating to these areas. This year’s festival will be bigger and better than ever and we invite individuals and businesses to book a stall site early. Stall sites will be situated along the Sims Esplanade, Yorkeys Knob. 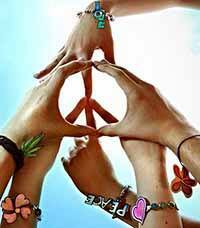 It’s something that we all want; for ourselves, for our family, for our community, for our planet. 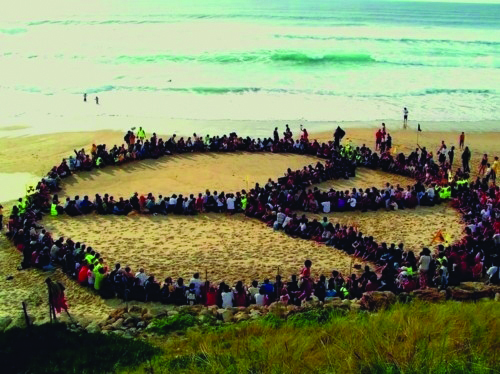 Let you r desire for peace be seen by joining a human peace sign on the beach at Palm Cove from 3pm, as part of the Body, Mind, and Harmony Day on Saturday 21st September, celebrating the UN International Day of Peace. The Body Mind Harmony Market is a free event that will be held on the Sims Esplanade at Yorkeys Knob from 9am – 4pm. It will include a variety of market stalls, including massage, reflexology, bowen therapy, natural health, and eco-friendly products. There will also be demonstrations and workshops held throughout the day. Submissions open now for entertainers and demonstrations. To help foster kindness in our community stall holders have donated gifts to our Random Acts of Kindness, which a Kindness Angels will give out randomly throughout the day. 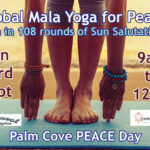 Following the lighting of the World Peace Flame we begin with The Global Mala Yoga for Peace, which is also a world-wide event, in which yoga communities around the world, form a ‘Mala around the Earth’ to support the International Day of Peace. 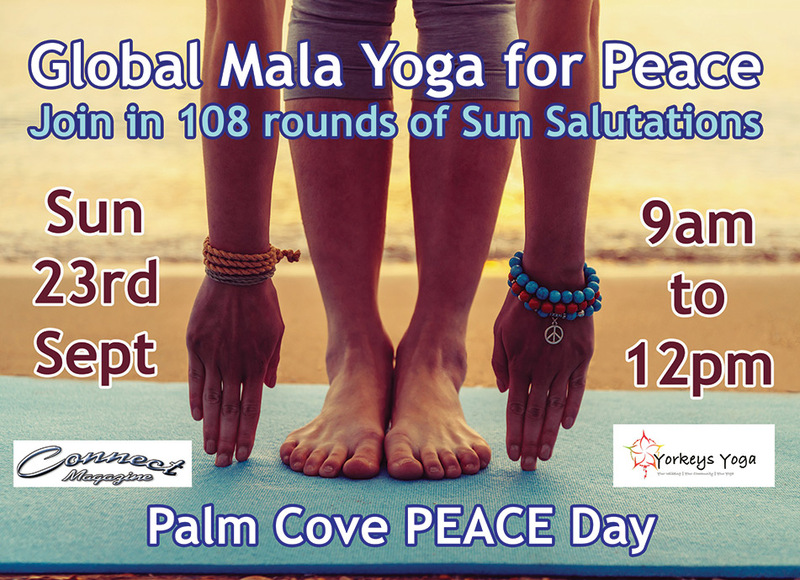 This will include 108 rounds of the Sun Salutation as a demonstration of Peace in Action. There will be 6 Certified Yoga Teachers each leading 18 rounds of the Sun Salutation. It’s estimated that this will take approximately 2.5 hours to complete. Quite a workout! You’re welcome to bring a yoga mat and join in! 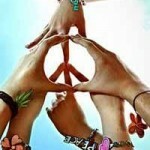 Research shows that when a lot of people come together, with the common intention of peace, that it positively affects the community around them, with a noticeable and significant reduction in crime. 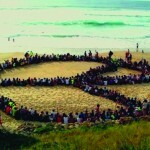 People will gather at 3pm on the beach in front of the stage area to form the peace sign. The festival will commence at 9am and run through until 4pm. Stall set up will be available from 7.00am. All stall site equipment must be provided by the stall holder. A $55 investment will secure you a stall site for the duration of the full day festival. Take this opportunity to raise your profile and brand awareness for only a small investment. Our targeted marketing will deliver the right customers to you with a clientele eager to purchase and learn. The campaign includes: Coverage by council in their promotions of events for the International Day of Peace, press coverage in the Cairns Sun, Radio advertising with Cairns 98.1 FM, extensive coverage in Connect magazine, and integrated social media marketing through Connect Magazine Website and Facebook. To help raise the vibration throughout our Festival we will be giving away Random Gift of Kindness throughout the day to attendees. You can contribute to the success of RGOK by donating a product, gift voucher, class voucher or session from your business. A Kindness Card will accompany the gift acknowledging the business. Please find the booking forms for stalls and demonstrations on the next page. We look forward to welcoming you as part of the festival!